Could it be Carlos in the Eastern Pacific? Tropical cyclone BLANCA, the second named storm of the 2015 Eastern Pacific hurricane season just went over the Baja California Peninsula of Mexico in the past couple of days. Following close behind Blanca, we have been monitoring a large cell of disturbed weather and low pressure off the coast of Central America, which appears to be getting better organized showing signs of potential cyclonic development. 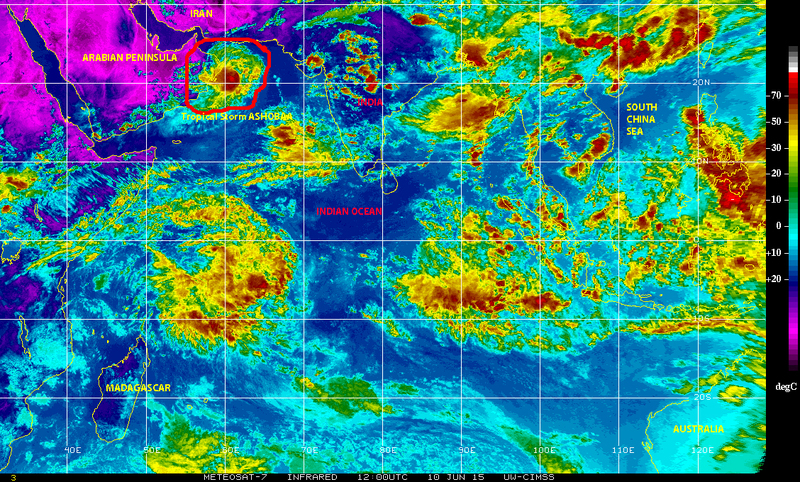 Could this be CARLOS, the 3rd named tropical cyclone of the Eastern Pacific sub-basin or just another wave of bad weather in a region that has shown a propensity for stormy weather over the past few years? Only time will tell, but for now all interests along the Pacific coastal region of Central America and Mexico, from Nicaragua to Baja California will do well to remain alert, be prepared and follow the progress of this system closely over the next couple of days. 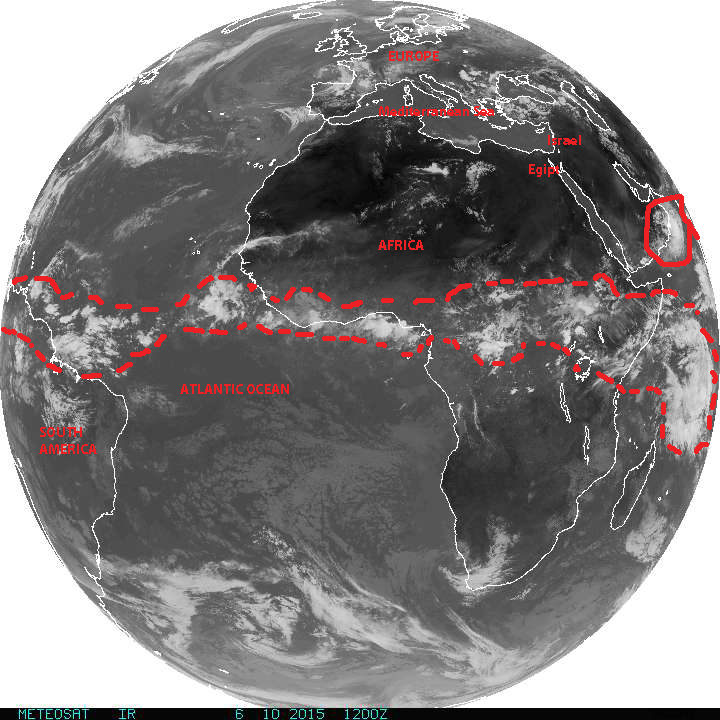 Elsewhere in the world there is Tropical Storm ASHOBAA in the Arabian Sea, northwestern Indian Ocean, about to make landfall in the Arabian Peninsula with sustained maximum winds around 45 – 50 kph. 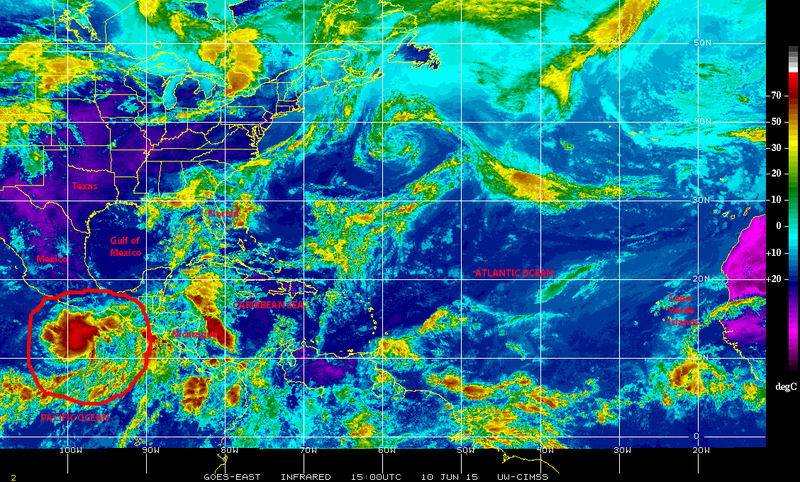 Also, the ‘tropical wave assembly line’ over Equatorial Africa is showing signs of continuous activity evidenced by a train of disturbed weather cells crossing the continent and moving generally westward all the way across ‘hurricane alley’ over the northern regions of South America into the eastern Pacific where the potential seed for Carlos is now active.